Politico says Chabad is Trump’s partner in - something. Not so fast. 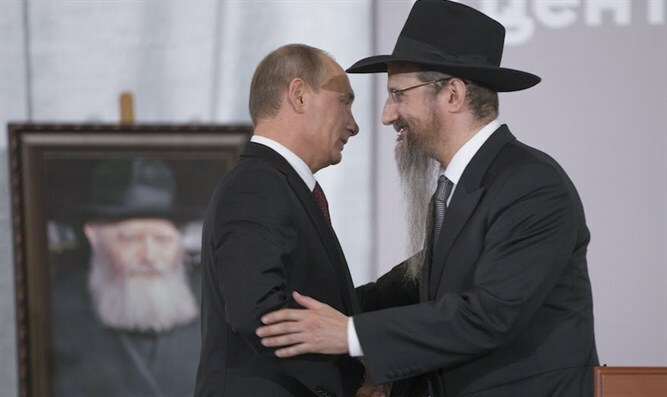 A recent Politico article detailed a web of connections between US President Donald Trump, Russian President Vladimir Putin and a vast network of Chabad-Lubavitch benefactors and their associates. The Politico article, published Sunday under the simultaneously blithe and misleading headline, “The Happy-Go-Lucky Jewish Group That Connects Trump and Putin,” adds that the Russian Chabad-supporting oligarchs and their associates have worked with Trump, and charts more of their connections to Chabad. The article also sketches out personal links between the oligarchs and Ivanka Trump and Jared Kushner - who also support Chabad. Did Chabad influence any of the business deals or relationships between Putin’s oligarchs, their friends and Trump? The article never reports any influence. Did Trump meet any of his Russian business partners through Chabad? Not according to the article. Did Chabad play a role in Kushner’s success shepherding Trump’s presidential campaign? If it did, the article doesn’t say so. Yes, Trump attended a bris at Rabbi Menachem Mendel Schneerson’s graveside — a bris arranged by oligarch Lev Leviev, a Chabad supporter. Yes, Jared and Ivanka now attend a Chabad synagogue. Yes, Jason Greenblatt met with Berel Lazar, the Chabad chief rabbi of Russia and a Putin ally. However, Trump’s bris appearance was a result of his deal-making with Russian oligarchs — not the cause of it. And Kushner’s Chabad support far predates his connection with the Trump clan, going back at least through his college days. The Lazar meeting is important to the Trump-Russia affair, but only to the extent that Lazar is a Putin ally, not because he’s a Chabad rabbi. The article also repeatedly suggests that Chabad is some kind of third way between full-on Orthodox Judaism and lack of observance. This is incorrect. First of all, Chabad is an Orthodox Jewish movement led by Orthodox Jewish married couples, and it promotes Orthodox observance. Chabad boasts large communities in North America and Israel. It is one facet of the sprawling Orthodox Jewish world, not a separate category. True, as Boteach suggests, many of the Jews who take part in Chabad religious services and activities like camp and Hebrew school are not themselves Orthodox. But the fact that the movement is open to Jews across the religious spectrum doesn’t mean it isn’t itself Orthodox.